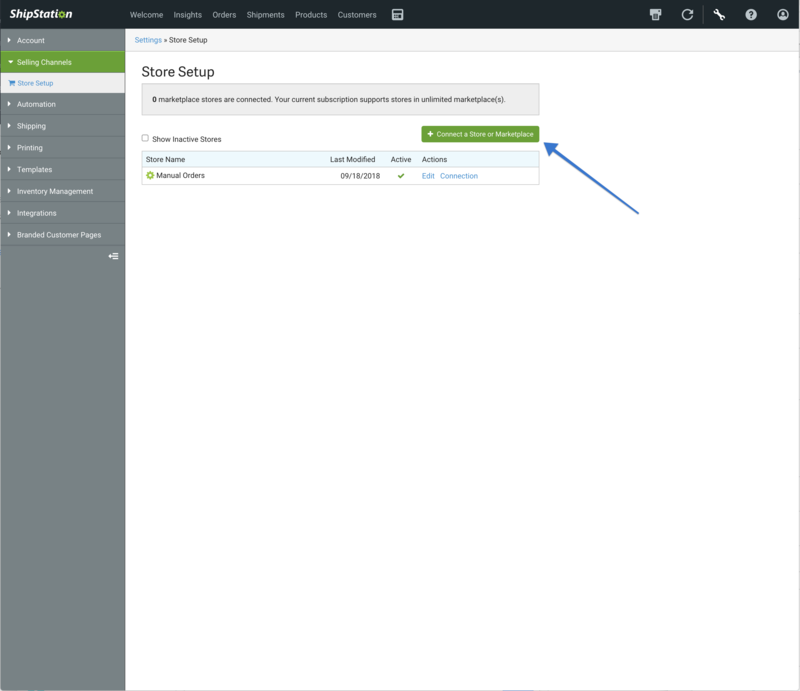 Automatically sync your in-house shipments to your ShipStation account. You will first need register a Custom Store in your ShipStation account. To do this, click on your Account Settings (the wrench icon in the top right), then Selling Channels and Store Setup from the sidebar on the left. 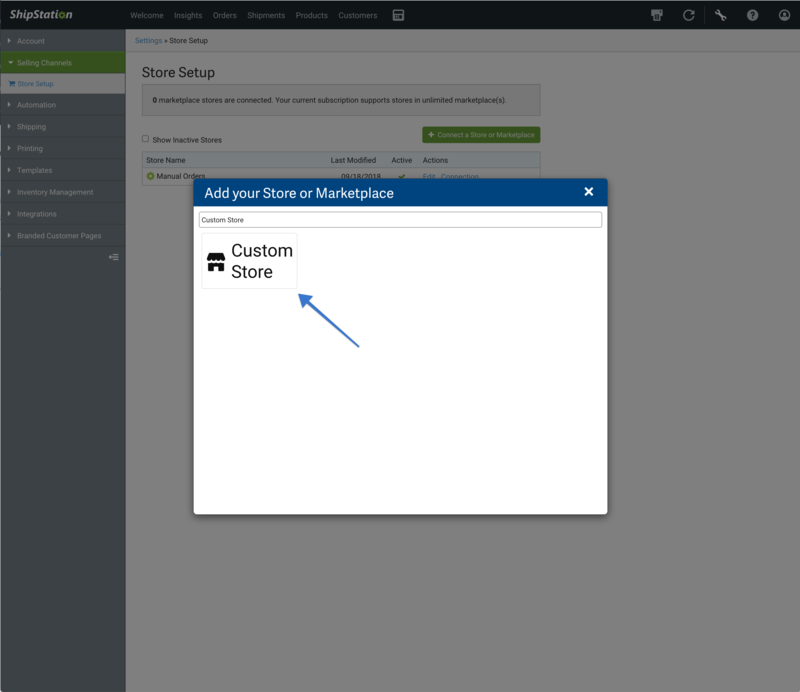 Click "+ Connect a Store or Marketplace" and choose the Custom Store option. You'll be presented with the following form. Once this form is completed, ShipStation will begin communicating with Jetti. To complete the form, you'll need to go to the ShipStation integration page in Jetti (Setup > ShipStation). The ShipStation username should not be the login you use for Jetti or ShipStation. Instead, enter something new here. It's used to that Jetti and ShipStation can securely talk to each other.